Welcome to the Umbrella Insurance Center. Here you'll find a wealth of information about umbrella insurance which includes tips on keeping your rates low, coverage explanations, geo-specific trends and news, and much more. Umbrella insurance is just part of the personal insurance puzzle. Our Personal Insurance Center gives you the expert knowledge you need for Auto Insurance, Homeowners Insurance, Motorcycle Insurance, and RV Insurance. Umbrella insurance refers to a liability insurance policy that typically provides liability protection above and beyond the underlying liability limits of your auto, homeowners, renters or other insurance policies. 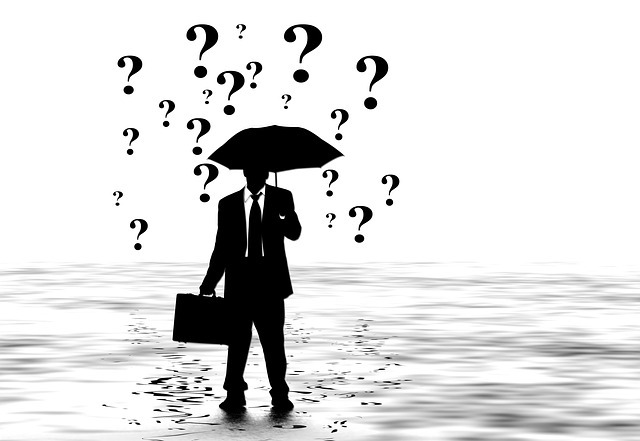 Personal umbrella policies are seen as protectors of the true assets that an individual or family has earned. If you're looking for competitive quotes on your umbrella insurance then you've come to the right place. We work with a large variety of umbrella insurance companies to help you find the best rates in the marketplace. Getting an umbrella insurance quote is simple. Just give us a call or send us a message through the contact form at the top of the website. Even more, an umbrella policy can help to protect you from having your future wages garnished. Some people think that because they might not have much in assets that an umbrella policy is over-kill. Quite the contrary, if you are successfully sued by another party, the court could potentially put a judgment on you to pay a percentage of your future wages to the injured party. The following websites will give you more information on wage garnishment laws and your rights. To understand umbrella insurance we must first understand liability insurance. Liability insurance provides payment for legal services that are a result of a covered loss under an insurance policy. If the person or business that is covered by the liability policy is found liable for bodily injury or property damages to another party, they will typically be protected by their insurance. Why do we say typically? What does protected mean? That's a loaded question. We say typically because not all actions of a person who is covered by liability insurance will be covered. There are policy exclusions that must be accounted for. For instance, if a person maliciously or intentionally causes harm to another person or property, a liability policy will not 'reward' that person with protection for their own malicious actions. However, if the injury is the result of an accident or something beyond the control of the insured, then the liability protection will usually apply. There are a few examples we can use here to help illustrate our point. A common liability policy would be either a car insurance liability or home insurance liability policy. When driving a car, it's assumed that you're not intentionally trying to cause an accident with another car, but if you do, it would be considered an accident. Now if you do cause an accident, you will be most likely held at-fault for the accident or in other words, liable. Our other example applies to your home insurance. If a guest is walking on your property and slips over a garden hose that is lying in the yard, then you may be held liable for their injuries. Because you left the hose in the lawn, you created a hazard. Naturally, it wasn't your intent to injure your guest as they walked across your lawn. However, because you did leave out the hose, you may be found liable for the guest's injury. In this case, your homeowners insurance policy would protect you. Now, how does your liability policy "protect" you? The liability policy will provide protection in the form of legal defense. If the 3rd party that you injured decided to serve you with a lawsuit, you could be on the hook for thousands of dollars in legal fees to defend yourself in court. The liability coverage protects you by paying for your legal fees, including hiring attorneys to defend you and paying a judgment or settlement out of court. So when does the umbrella policy kick-in and protect you? Not only until the underlying limits of your primary liability policy is exhausted. That is why we recommend that you carry high limits of liability on your primary auto and home insurance policies. Even if you do have high limits of liability on your auto and home policy, they might not be enough to protect you and pay for all your legal fees. If you're found liable for a serious accident where the other party was seriously injured, the maximum limits on your primary policies may not be enough to satisfy a large settlement for that person's pain and suffering. This is where the umbrella policy kicks in. Once the underlying auto insurance and homeowners insurance policy limits of liability are exhausted, the umbrella kicks in and covers the liability claim. Umbrella insurance provides broad insurance beyond the traditional car and home policies by providing coverage for claims that may be excluded by the primary policies and if a business, your primary business insurance coverages. Your dog bites someone causing a vicious injury. What if they bite a person's face leaving them disfigured? Can you imagine the pain and suffering? You have a pool party and a guest cracks their head open after taking an ill-advised jump off your diving board. You or a family member writes some nasty things about someone else on facebook or twitter and that person sues you for defamation of character. Your kid gets into a fight at school, punches a fellow student, and the student falls and cracks their head open. A guest walks across your property and injures themself by tripping on the garden hose you left out in the yard (as mentioned above). Contact us today to discuss all your personal insurance needs!